As someone with afro type, curly hair that is pretty hard to deal with, I hate hate hate washing my hair. It takes me so long to wash and dry it and then another 45-60 minutes to straighten it. It has become a once a week ritual. So Monday-Wednesday I'll have fab shiny hair all down and wonderful but as soon as it hits Thursday it's ponytails all the way with maybe a re-straighten for an event or a night out at the weekend and then it starts all over again. Dry shampoo is great but I do hate the way it leaves a white residue and you have to fluff it out so much to get it to sink in. That's when I was introduced to Towel Off by one of my friends. It's a Coconut shampoo foam that washes and refreshes your hair without needing any water. You apply the foam to the roots of your hair and then towel off the oil and grease it lifts off and style! 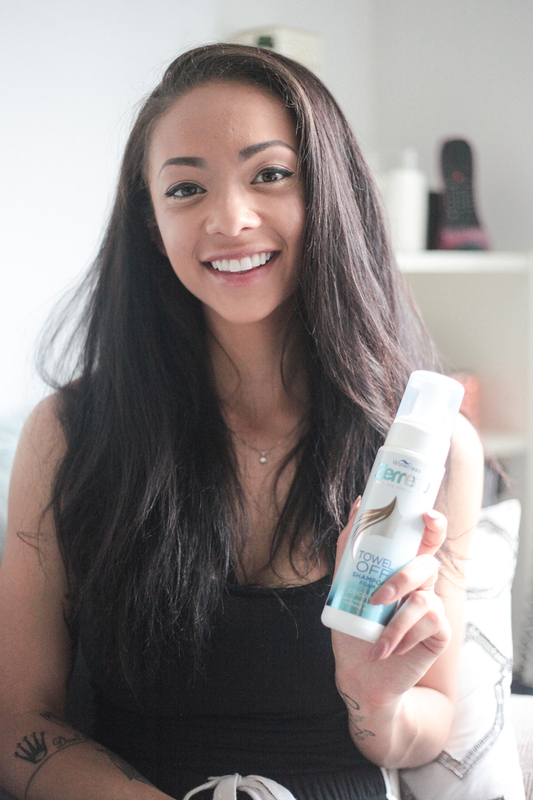 Feeling like freshly washed hair, it doesn't give the sticky or dry feel that normal dry shampoo does. 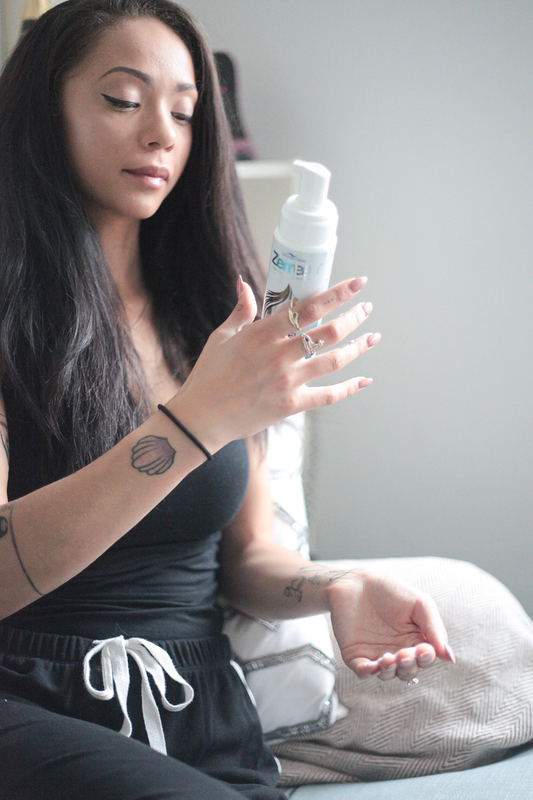 Infused with coconut, it smells divine and almost as if you've doused your hair in coconut oil. It makes my hair so soft and means that I don't necessarily have to shove my hair up when it gets to that dreaded Thursday yuk day. It's also alcohol-free, paraben-free and pH balanced so it's kind on your hair. I have one big one to keep at home and then also a tiny travel size one which is so convenient to take to the gym or on holiday or even for a weekend away. I think I'll stick to this rather than the dry shampoo from now on! Another big plus is that they don't test on animals, and even though I'm not vegan or vegetarian (although I am becoming increasingly dairy free and eating less meat) it's still a great commitment for a beauty brand or any brand for that matter. Thankyou Zerreau for sending me these for the review, and to raise the profile of this type of product! I'm so happy to be back doing more beauty posts !! Hair is important part of face and it in hence the beauty of face. So we can join this assignment writing site because it tell us the best products which makes our hair long and smooth. Try to avoid the chemical shampoos and conditioner. On the off chance that your hair is extremely oily Do my Essay Cheap you can escape with washing it regular without it drying out or getting harmed. My sweetheart has fine hair that develops oil super quick and he needs to wash his hair each morning for fear that it hang in limp, stringy masses. It's still delicate and sound.